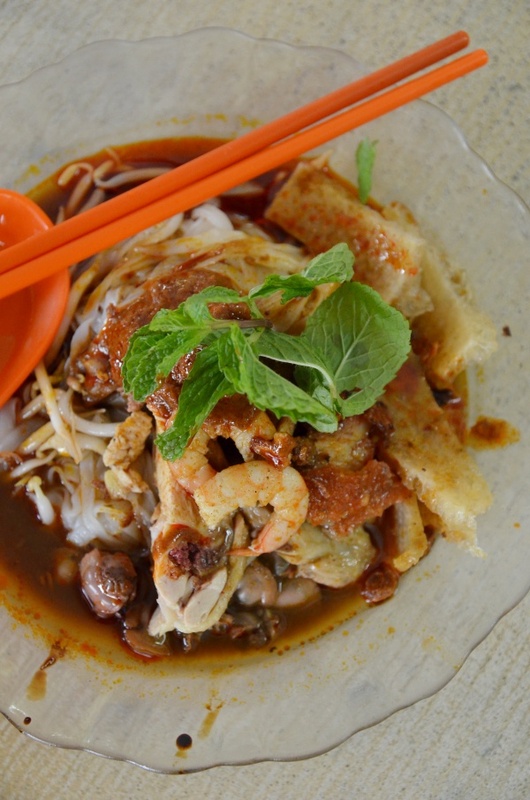 Bet You Missed My Ipoh Curry Mee Stories! The recent surge in interest over curry mee from Ipoh (read my story on Yee Fatt; where I had my first taste of really good curry noodles back in the 90’s) was more or less attributed to the dire lack of comparable options over here in Kuala Lumpur. I don’t deny that there are a few places serving above average curry soup noodles, yet nothing that has yet tantalised this palate growing up with the taste of excellent dry curry noodles from Ipoh. And so, the Qing Ming homecoming had me listing down the safe options; my favourite street foods from across all corners of Ipoh. Thanks also to the dedicated driver bracing the traffic and listening to incoherent (more like non-sensical) rants from this Motormouth. Leaving my hands free from the wheels, I started taking down notes and reminiscing on the true vision and foundation of Motormouth From Ipoh; the wealth of splendid hawker fares. 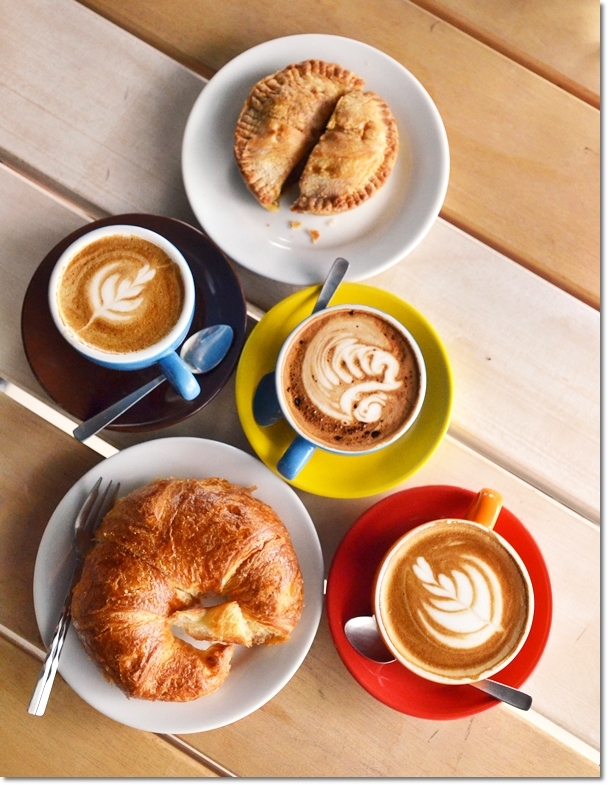 Espressolab was established in July 2011 with emphasis beyond running retail cafes. The full story can be read from that link, but safe to say that their best bet is the coffee (served in all manners imaginable; espresso, macchiato, cappucino, latte, piccolo latte, mocha, etc) and to some extent, their cakes. Espressolab Ipoh Garden started operating a few months ago; taking over the premise of the previous Aussino (FYI, the cafe is still run by the same owner of Aussino; talk about diversifying your business), which in place was Dai Fang coffee shop few years back. A rather risky choice of location; as compared to the usual safer route of picking shopping malls for their other retail operations over in Klang Valley. After what seemed like an eternity … Motormouth’s back for the festive break! 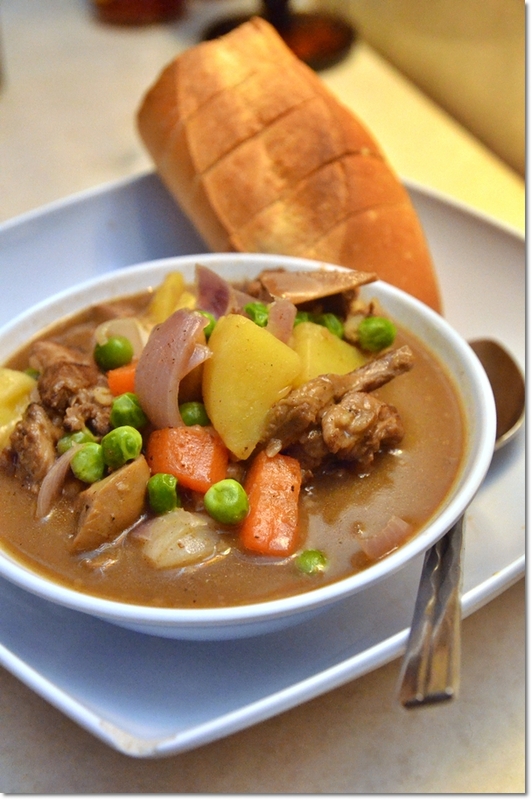 So bring back that passion to eat, the hunger and cravings for all things gluttony and let’s kick things off with a hearty lamb stew @ Denis Jazz Bistro this Thursday evening! 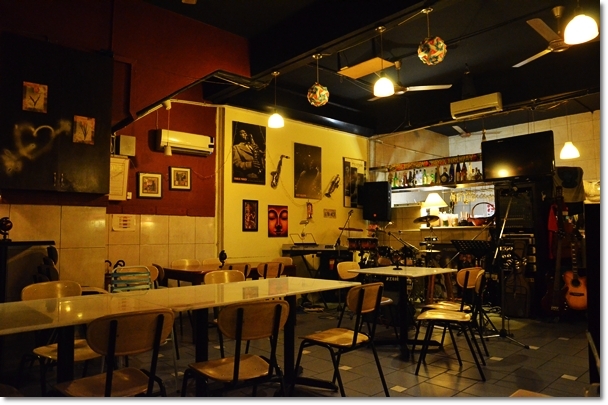 Denis Jazz Bistro – The neighbourhood bistro with a ‘jamming’ area and continuous lullaby of smooth, jazzy classics over the airwave. Come on Fridays (correct me if I am wrong) and weekends for jamming sessions. 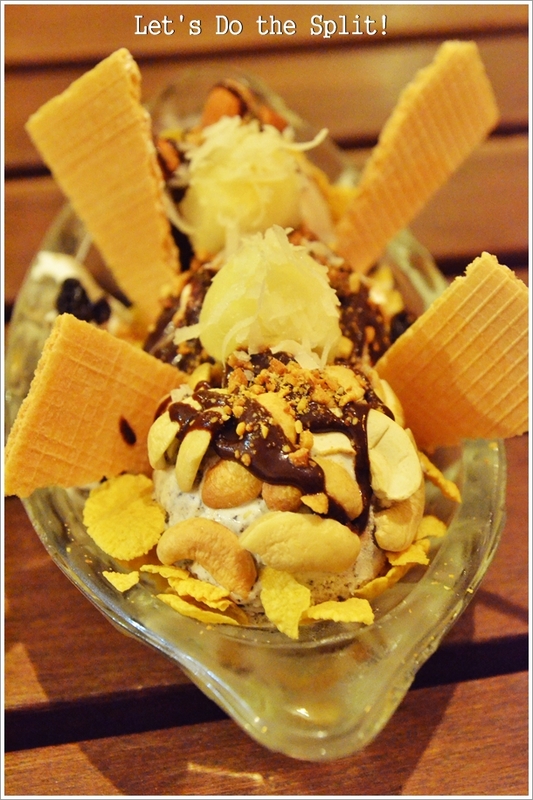 CRUNCHY GRAVEL (RM9.60/USD3.20) – Almost like the (Banana)Split, but not quite. They do have a Banana Boat/Split variety with a split banana (duh! ), cornflakes, Coco Crunch, cherries, crushed peanuts and chocolate sauce. For 21 years (a reasonably lengthy period for myself, and I’m sure some of you readers were not even born yet! 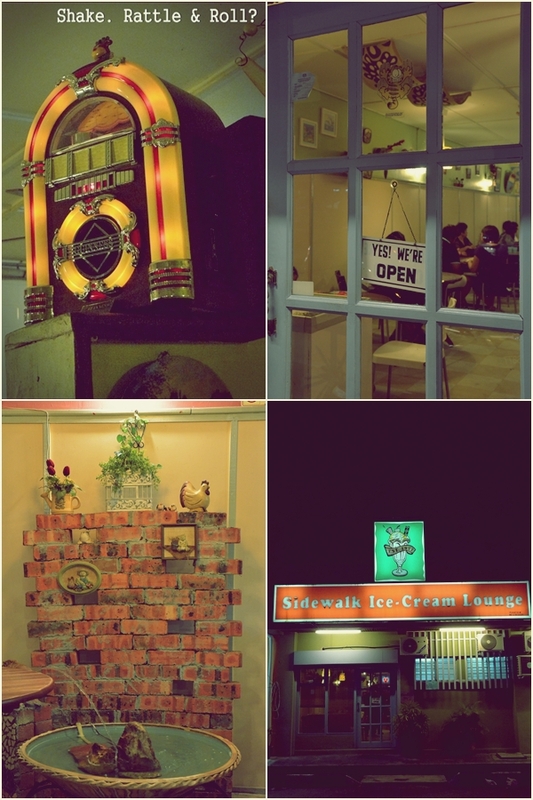 ), an ice-cream lounge has set foot in Ipoh Garden and has not budged an inch since then. The setting; featuring an ambient, almost dreamy-like interior with a brush of nostalgia, soft lighting and paraphernalia infused with a lingering sense of old-school feeling; has successfully lent the cafe an irresistible charm. So effective was this combination of elements that you’ll always be assured of the same wave of feelings washing over you as you step into a lounge like how it has always been since the 90’s. Motorpedia – What Is “Kacang Putih”? “Here Comes the Kacang Putih Man!” A very generic; instantly recognizable tray of Indian snacks displayed on the green-painted compartments on the back of his motorcycle. MotorWHAT?! Don’t throw rotten tomatoes, brickbats, durians or slippers please … Just a very random phrase that sprang to mind when I was contemplating on a catchy title. 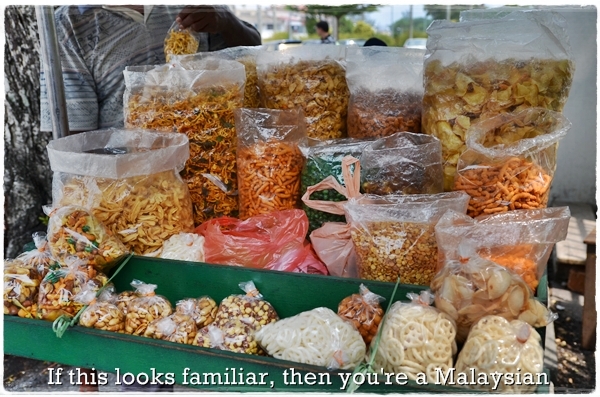 Plus, aren’t you curious on what ‘kacang putih’ really is? 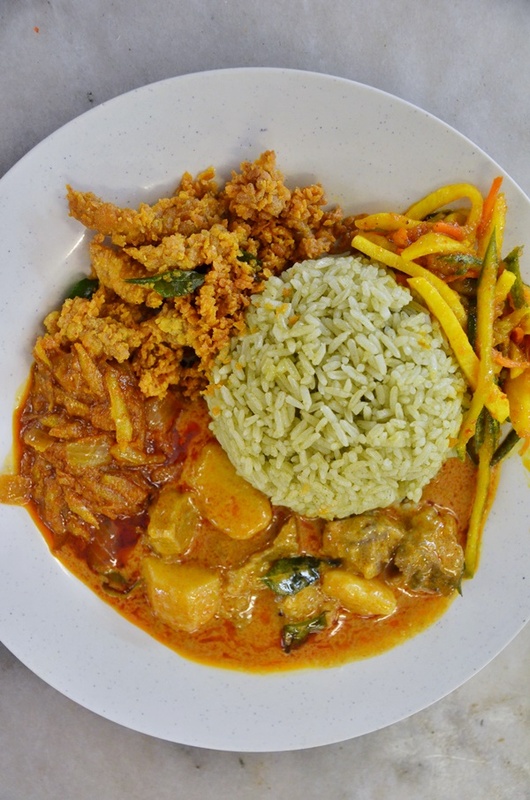 If you’re a Malaysian baby, then guaran-damn-teed you would have heard of, tasted, loved or abhorred (why should you?!) the classic Indian snacks usually sold by the roadside, or in school canteens. And I am back in Ipoh (hurray?!) for this weekend. A relatively short homecoming, for work purpose more than play. But every minute spent at home would be treasured immensely. I mean, as much as I would like to commit myself for food hunts and reviews in the metropolitan on steroids, somehow the presence of heavy traffic, time constraint, and lack of directions (in every sense of the word) barred me from the real intention. 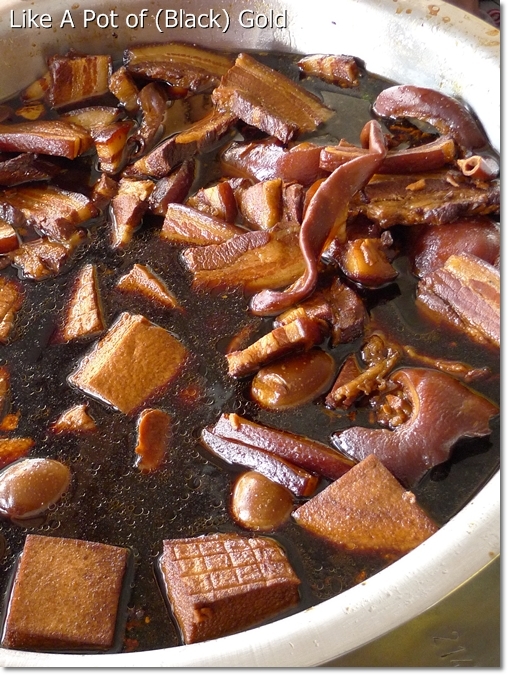 A pot of braised goodness; Blocks of beancurd, whole eggs, slices of pork belly and pigs’ offal swimming in the dark elixir with a distinctively concentrated flavour. Heavenly when paired with the oil rice. Thus, the short 2 days will be spent in an intelligent manner; good time management is essential and strategic planning is deemed to be of utmost importance. After all, I can only squeeze in 6 meals a day. Or more. Depends on my appetite. And till now, you know Motormouth can really wallop everything in sight, and then some.